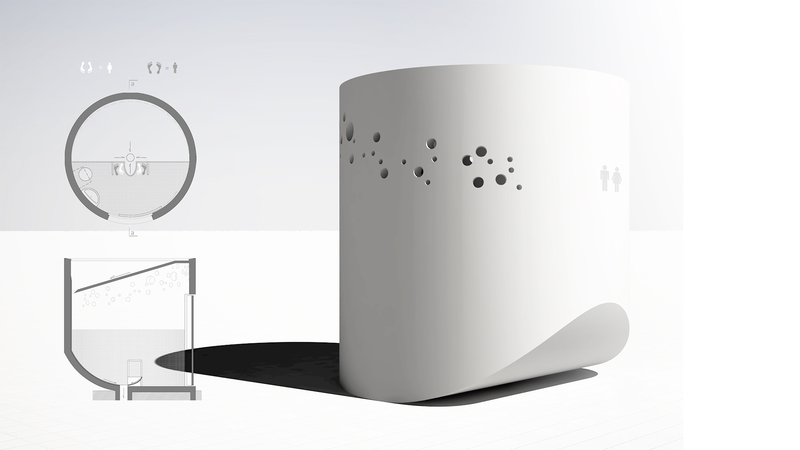 Competition - Honorable Mention The goal of the competition was to design a public toilet in Sopot, city located by the seaside of Baltic Sea in Poland. City is a popular place especially in Summer with many tourists visiting it. It has also a rich night life and also some problems associated with it. One of which is lack of public toilets. The design is simple cylinder with a cut quarter of circle reflecting the inner design of the urinal itself. Roof is shaped so it could be possible to use rainwater for WC use. 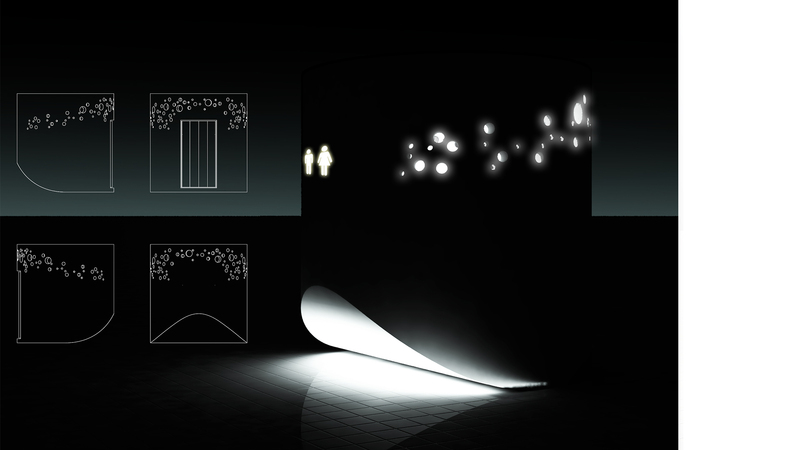 Round holes are giving natural light and are creating interesting play of lights at night.